TORMEK T-8 maximises the precision thanks to the revolutionary fully cast housing which guarantees minimal play for the Universal support. 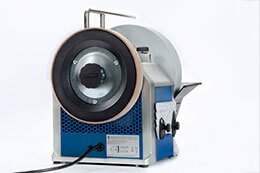 This gives you the best conditions possible to succeed with your sharpening. 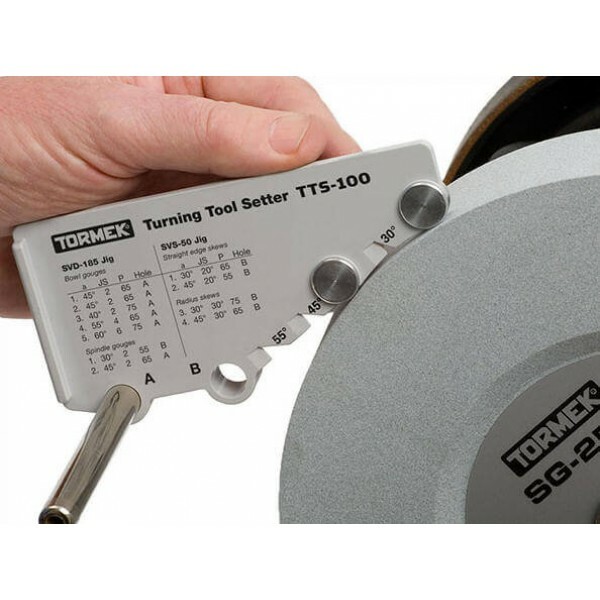 Tormek's unique drive system is efficient and manages to hold a constant speed, even under full load. 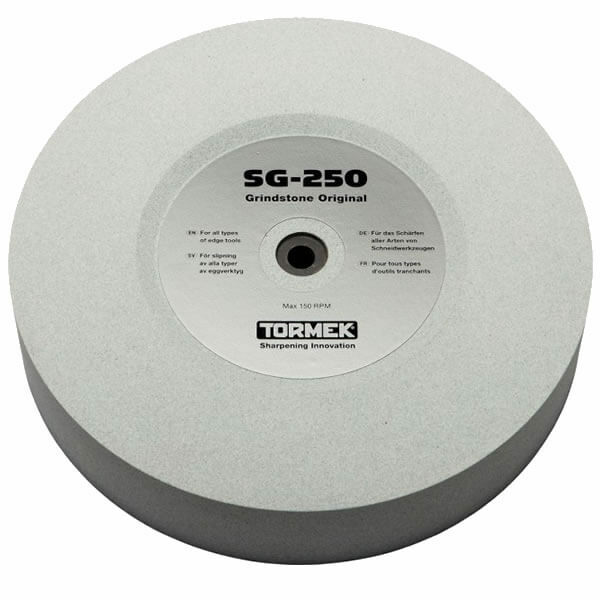 The Tormek Original Grindstone sharpens all qualities of steel, including HSS. 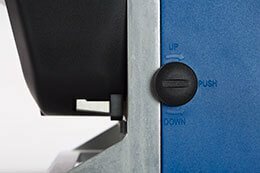 The machine features a number of elaborated details, like instant stone locking with EzyLock, water trough with lift and a removable magnet scraper for efficient cleansing. Main Shaft: Stainless steel main shaft, stone hardware and EzyLock. Housing: Zinc cast top and frame. Sides in ABS plastic. 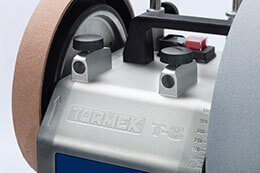 On the new T-8 model, Tormek has integrated the previous mounted sleeves for the Universal Support into the fully cast housing. 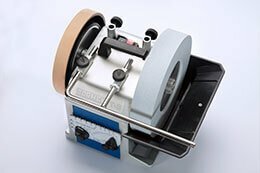 That guarantees minimal play for the Universal Support; an innovation which improves the control of the sharpening and increases the accuracy of the final results. 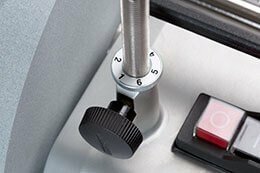 With an updated design and several upgraded details, the T-8 gives you the best conditions possible for a successful sharpening with top results. 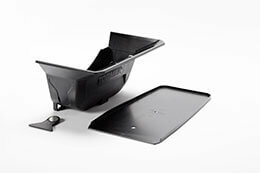 The Advanced Water Trough has been further improved with a screw lift for an easier fitting and a magnetic scraper for efficient cleansing. 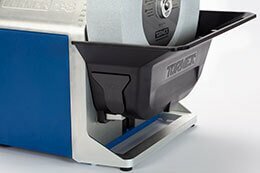 For long tools that drip water over the edge of the lip (like chef's knives and planer blades), you can add the water chute. Set the widest edge of the chute onto the tab in the middle of the lip of the trough and the water chute will direct the water back into the trough from even the longest tools. 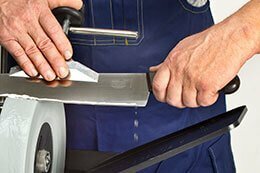 The removable scraper incorporates a strong magnet, which attracts the steel particles ground from the tools being sharpened. This keeps your stone clean and cutting more freely. These small steel particles would otherwise be pressed into the stone surface and can affect the sharpening. When you clean the water trough, you'll find that most of the steel will be located on the magnet. When you remove the scraper, the magnet will release the steel particles and you can easily clean the trough.